Wellesley is home to beautiful land and superb schools! 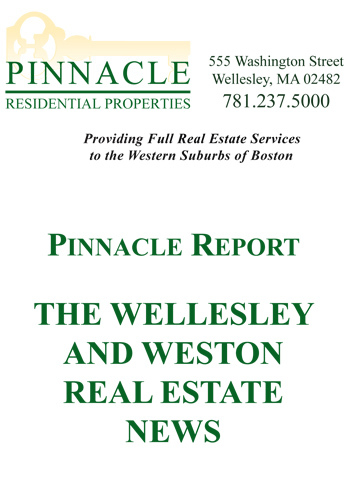 Settled in 1650, Wellesley has become one of Boston's most prestigious suburbs. 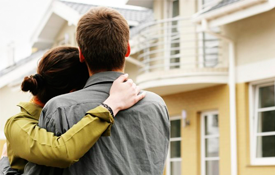 It has some of the finest residential areas found in New England. It also features one of the most vibrant town centers in the area, as it's full of interesting shops and restaurants that make it a popular place to stroll. In addition to having one of the best public school systems, there are four private schools and three colleges in town. There are over 900 acres of protected open space and two gorgeous lakes. Several local playgrounds, tennis courts, baseball and soccer fields, hiking trails and a golf course provide perfect places for outdoor recreation. For swimming and sailing, Morses Pond is an ideal spot. Access to the trails around Lake Waban is through the beautiful Wellesley College campus. The Recreation Department sponsors many activities from youth programs to adult education classes. Many people commute to Boston or to the high-tech firms between Routes 128 and 495. 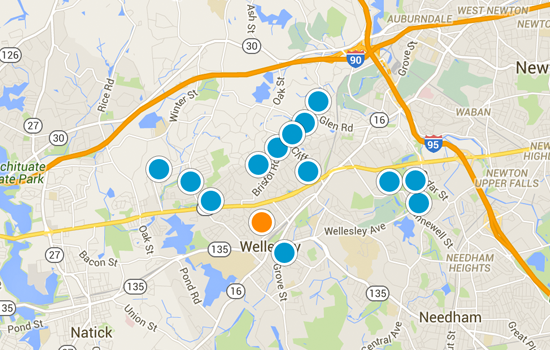 Commuter trains run from three stops in Wellesley to Boston's Back Bay and South Station. MBTA rapid transit service is available from the nearby Riverside station.